Venerated by both locals and foreigners the Kande Vihara Buddhist temple is another jewel that decorates Aluthgama which is a town in the Kalutara District. The temple is just a few minutes away from the Colombo- Galle Main Road and the drive will take you about one and a half hours. The name Kande Vihara has been given to the temple as Kande when translated into English means hill and the name means ‘temple on a hill’. 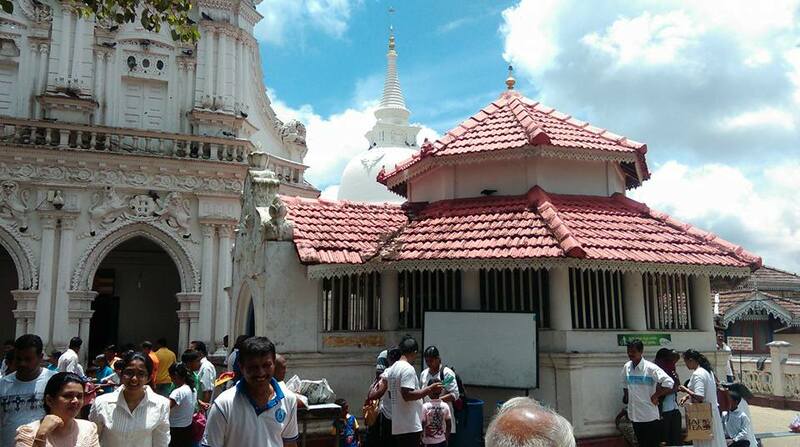 The locals venerate this Buddhist temple as it is one of the few ancient temples located close to the Colombo city and the temple is also known among the locals as the ‘ Bentota Kande Vihara’ as well. The ancient temple beholds much to enjoy with beautiful mural and paintings that depict Buddhist Jathaka Stories. It is said that the temple was founded by a Buddhist monk in 1734 and the temple has since grown under the watch of seven chief priests transforming into a regional centre of Buddhist Affairs. Today the temple is known for its ancient Bo tree that is about 700 years old and the gigantic Buddha statue which is called a Samadi statue. 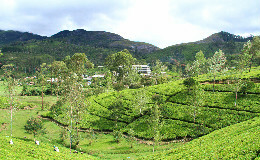 The Samadi Statue was unveiled in 2006 and it is considered the highest Buddha statue in Sri Lanka. The stairway to the statue is adorned with guard stones and moonstones and the statue majestically sits on a lotus flower. 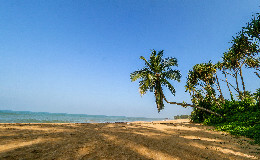 On the other side of the Bo tree is the’ Pirivena’ and it is where novice monks are educated about Dhamma. 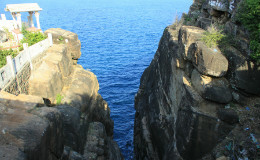 This particular pirivena is said to be founded in 1904. Apart from these aspects there is a Dagoba, four devales and a shrine room in the temple premises. There is also a five storey building where a museum is housed on the fourth floor. The museum has old dhamma books and other antiquities on public display. On the top floor is a relic chamber. The Sri Sarantissa memorial library is also in this building and it contains very valuable books for academic research. The most attractive feature is the image house ( Vihara Geya) of this temple as it has stunning paintings and statues. The image house has a breathtaking ‘Thorana’ which is adorned with floral creepers and there are statues of the chief disciples of Lord Buddha. The image house is said to be constructed in 1731 with two chambers. The outer chamber consists of Buddha statues on various poses and the inner chamber has traditional artistic paintings and murals. The temple is open to the public from 5 am to 9 pm and all visitors to the temple are advised to wear white modest clothing as a sign of respect towards the temple and the ancient and religious value it beholds. 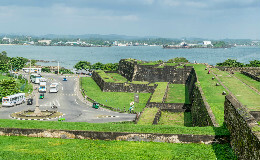 The Galle Fort is fortified with its beautiful architecture, the breathtaking natural surrounding and its rich heritage.